Just before I was murdered, I’d lain with Federico. The horror of my past, the mistaken belief of my brother that I had raped Belén, my beautiful niece, had fallen away for a short while in the arms of my love. When I’d settled in El Paso, Federico was the first man I’d dare to speak with for any length of time. I had to be careful for two reasons. First, my brother, Adolfo, was stubborn, relentless—I’d seen these traits repeatedly while growing up—and I had no doubt that my brother would not give up until he was avenged. Second, my secret life with men was always kept wrapped up in my chest, my covert self that, if discovered, could get me killed, too. 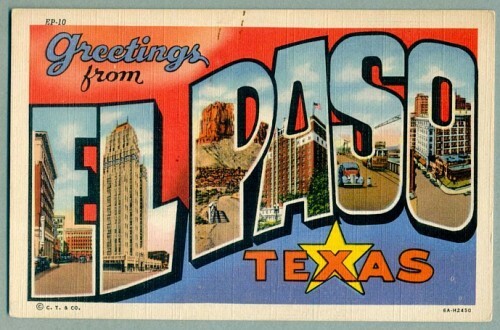 In El Paso, my situation was almost perfect. Señora Espinoza’s boarding house for men became my home, a single room all to myself, a bathroom down the hall. She served breakfast and dinner for her men, all seven of us who lived there. I think she liked having us around. We became the children she and her late husband could never have. The señora seemed most blissful feeding us, inquiring if our beds were comfortable, wondering if we have all that we needed. She was of an indefinite age, her skin smooth and tight due to being very large. I suspect that if she’d been a lean woman, her true years would have been more apparent. In any event, this was my new home and I made the best of it. A month or so at the boarding house, I’d gotten use to the other men. They were all Mexican, save for one German who’d lived in Guadalajara his whole life until moving to Texas at the age of sixteen. The other men were of an assortment of sizes, ages and histories. And then there was Federico, ten years my senior, who moved in a week after I did. We noticed each other, above the others, for reasons I can’t understand. He listened intently to everything I said, even the silliest comments. One evening, he visited my room to borrow a little tobacco, or so he said. But that visit became the first night we spent together. After that, we had to be very careful, of course, making excuses to visit each other. This was not too unusual because every man in that house needed friendship since they’d left everyone behind in Mexico. Sometimes one would visit the other’s room to play cards or listen to Mexican records. Of course, the other men visited putas whenever they had extra money. One or two had real girlfriends. And I had Federico. We had each other. I was happy. One evening after sharing his bed, I grew restless and wanted to go out and have a drink. Federico just wanted to sleep. So I kissed him and left the boarding house. Down the road was a bar that I enjoyed called La Bolsa Chica. Men and women, almost all Mexican, came to eat and drink and dance. I felt like I was at home once I had a few copitas of whiskey. After having more than was wise, I stumbled out of the bar. The street was virtually deserted, an automobile passing every few minutes, two or three inebriated couples walking home. I decided to take a shortcut, down an alley. The dark never scared me. Never, not even when I was a child. And it was in the alley, not two blocks from the boarding house, that I encountered a man. He smoked a fat, hand-rolled cigarette, obscenely large. The man seemed harmless enough, lost in thought. But his face became the last I saw, when I was alive. It took many years for Federico to be with me again. He’d lived a long life, mostly alone, after I was murdered. But after he died, we were reunited. He smiled, said hello, and held me tight in his strong arms. Federico chooses not to visit his loved ones back home. He says he doesn’t want to interfere. I personally find this a superior gift, being able to visit those I left behind, a gift that I should not waste. You agree. ¿No? This one spoke to me when I read it in the novel. Works this way, too. Beautiful. Makes me want to read more. And it almost makes me want to post one I sent you a few years ago. Almost. This is a remarkable short story, not just for its narrative strength but for its inventiveness. Reminds me of Par Lagervist.